Since divorce is governed primarily by each state’s laws, Washington law governs marriages and divorces within the state, including common issues like child support, custody and property division. Since Washington does not have a minimum period of residency before a spouse can file for divorce, you can file for divorce immediately after moving there. Washington is a pure no-fault state which means state law does not permit spouses to file for divorce for any other reason than the marriage is “irretrievably broken.” This is considered a no-fault ground for divorce, so Washington spouses do not have to prove that one spouse was at fault and caused the divorce. Washington is one of the few community property states. As such, it presumes that any property spouses acquire during their marriage is community property - the property of both spouses - and divisible upon divorce. Separate property is any property a spouse acquired before the marriage or during the marriage by gift or inheritance; such property belongs to the spouse who acquired it and is not divisible upon divorce. Once the court determines what property is community property, it will divide that property in a manner that is just and equitable. Washington does not use the term “custody.” Instead, Washington couples create a parenting plan that proposes parenting arrangements, including where the children will live and which parent makes decisions regarding the children's welfare and upbringing. Washington courts may approve a parenting plan created by the parents or create a plan on their behalf if the parents cannot agree. Since no one parenting plan works for all families, Washington courts consider the best interests of the child when creating a plan. To decide what is best for the child, the court considers various factors, such as the child's relationship with each parent and the child's emotional and developmental needs. Washington courts use the Washington State Child Support Schedule to determine a standard amount for child support. The schedule considers each parent’s income, child's age and necessary expenses like child care. The court has authority to vary from the schedule if a different amount is more appropriate for a particular family. However, a divorce court must order child support since it is intended to benefit the child; parents cannot make an agreement not to pay child support. 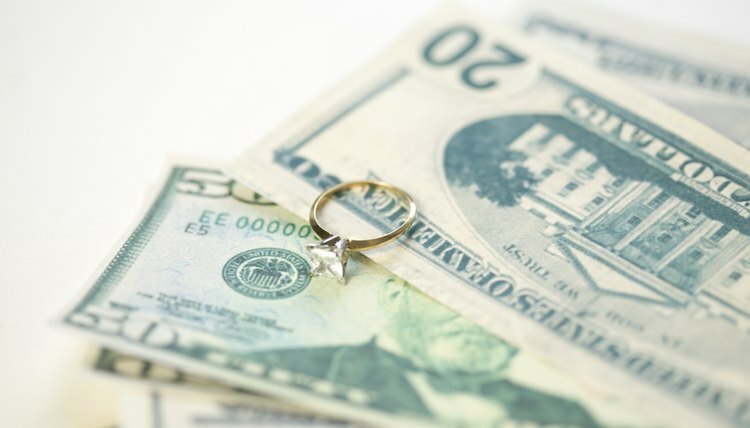 In Washington, courts can award alimony -- called spousal maintenance -- to either spouse. Generally, spousal maintenance is not based on who caused the divorce. Instead, Washington courts base maintenance awards on factors such as the length of the marriage and spouses' health, ages and employment history. The court’s goal in awarding maintenance is to help a spouse with lower earning capacity to achieve financial independence. Wyoming understands that divorces run smoothest when spouses are amicable and able to work together, especially when it comes to children of the marriage. For that reason, Wyoming permits divorcing spouses to create a parenting plan on their own, choosing a custody arrangement that works best for their family and its unique dynamic. If the court finds the plan meets the child's best interests, the court will approve it and incorporate it into the divorce decree.